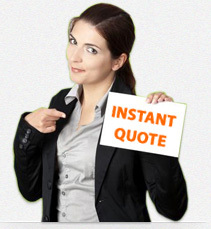 Our mission is to satisfy our customers and to professionally respond to any questions and concerns they may have. Here, you can find answers to some frequently asked questions. Clevoo is an online translation and editing service which provides high quality and fast delivery at very competitive prices. With certified translators and editors, Clevoo guarantees the highest level of quality at prices 50% lower than the current market price. After entering or uploading your text into our innovative price calculator, it instantly displays the price of your project and estimated delivery time. After placing your order, Clevoo chooses the best appropriate translator and editor for your project. How can I register at Clevoo? Here, you can register at Clevoo. How can I contact Clevoo? How do I place an order at Clevoo? Who does the Translation, Editing and Proofreading? Clevoo works with certified native-speaking translators and editors with many years of experience. These industry professionals translate and edit your texts only in their native language and specialized field. Which languages does Clevoo offer? Clevoo offers at the moment more than 55 languages, with more languages added on a continuous basis. We offer our service 24 hours a day, 7 days a week, 365 days a year. How long does it take to translate, proofread and edit a document? The translation, editing and proofreading jobs depend on the subject matter and text length. For time-sensitive jobs, we are willing to work with you to meet your deadline. How do I know that my order has been completed? After the translation or edit have been completed, we will send you an email notification that your text is ready to be downloaded. What should I do when the price calculator does not support my file format? The minimum order amount is only 5 €. What happens if I’m not satisfied with the delivered text? In the unlikely event that the text fails to meet your expectations, you may resend it to be checked over again. After a fair evaluation, we will inform you about the state of your order. Do I have the possibility to provide Clevoo translators or editors with my comments when placing an order? Of course! You can add a message to your order and send your comments to provide more detailed specifications. Who can apply as a translator / editor? We are looking for professional translators and editors with several years of experience. Please include any certifications and a CV in your application. How can I apply for the translation or editing job? How much can I earn at Clevoo? Compensation depends on your specialty, the text genre, and the text length.